The countries whose coffee regions nestle around the Great Lakes of Central Africa—Rwanda, Burundi, and key growing areas of Uganda, Tanzania, and the Democratic Republic of the Congo—make appearances in the news cycle more often for conflict than for coffee. But these countries are also longtime coffee-producing lands that have, within the last 10 years or so, emerged as important sources of distinctive high-end specialty coffees. We review 14 impressive examples this month. For those familiar with the extraordinarily difficult history of this region, the recent, widespread conversion from commodity coffee—usually carelessly harvested and dried—to carefully managed, high-quality, high-value specialty production, may appear miraculous. The historical challenges for farmers have been daunting: little technical agricultural support and training; lack of capital; abysmally low coffee prices; weakness of overall infrastructure, and, in some cases, brutal civil conflicts that have often stretched over years, even decades. Coffee drying on raised beds in Burundi. Courtesy of James Viljoen. Yet the potential advantages of these regions for producing fine coffee are equally profound: hard-working farmers, relatively high growing elevations, volcanic soil, and in some cases the temperature-moderating influence of the region’s enormous fresh-water lakes. Lake Victoria is the world’s third-largest freshwater lake by area, and Lake Tanganyika, bordering Burundi, is the second-largest by volume. Lake Kivu is considerably smaller, but still a very large lake, and directly proximate to key growing regions in both Rwanda and Congo. But most important is tree variety. All of the coffees we review here, with the exception of the Uganda, are comprised either exclusively or predominantly of local cultivars of the Bourbon variety of Arabica, cultivars long grown in the region and admired for their tendency toward complex aromatics and deep sweetness, often juxtaposed with savory resonance. Almost all coffee from these regions is produced by smallholding farmers, most impoverished, most working their own land. Yet the leadership and the structure of the coffee industry in these countries, often brutally disrupted by civil war and violence, has not succeeded in encouraging the sort of well-organized cooperatives that produce most of the finest coffees of Ethiopia and Kenya, two African origins that are the darlings of fine-coffee roasters worldwide. Brady Guinn, of Novo Coffee, in the company’s Denver roastery. Courtesy of Novo Coffee. This picture is now changing, largely owing to the work of international and national development agencies, non-governmental organizations, and idealistic, quality-oriented entrepreneurs, exporters and their importer and roaster colleagues. Where before, there was little-to-no organization among isolated smallholding farmers caught up in civil conflict, we now see more and more successful cooperatives and efficient centralized wet mills operated by both co-ops and exporters. Extraordinary transformations range from the conversion of Rwanda from producer of cheap commercial coffee to leading specialty producer in a few short years after the 1994 genocide, to the slow but steady rise of Burundi as a fine coffee source after the end of its civil war in 1905, to the recent successful establishment of the 6000-member SOPACDI cooperative in the war-ravaged Kivu region of the Democratic Republic of the Congo. These stories are one incentive for many roasters to promote them and consumers to buy them. Nevertheless, some of these origins, particularly Burundi and Rwanda, suffer from a particular and unique challenge: the “potato defect.” This powerful taint, unmistakable for its pungent raw potato odor and flavor, is caused by airborne bacteria that enter coffee beans through holes created by the antestia insect. One bad bean can ruin a cup; just a few can compromise an entire bag, or even an entire lot of coffee. The tendency for this taint to suddenly erupt in the cup of an otherwise sound, pleasing coffee has understandably created obstacles to the acceptance of coffees from these regions, again, particularly those from Burundi and Rwanda. The good news from this cupping is that efforts by farmers and mills to control the potato defect appear to be working, at least in the specialty lots we sampled this time around. We found only a single sample (out of well over 100) displaying this distinctive taint, a clear victory for the farms, mills, exporters and importers who contributed to this month’s submissions. When sourcing samples for this report, we assumed we would get a range of coffees from across all five origins. We received an impressive number of submissions in total: over 100. Yet, of that number, a full 56 were produced in Burundi. We also received 27 from Rwanda, but just 16 from Congo, seven from Uganda, and a single submission from Tanzania, which happened to be the top-scorer: The Tarime Tanzania from JBC Coffee Roasters, rated 95. Immediately following was Dragonfly Coffee Roasters’ Fair Trade, Organic DR Congo from the SOPACDI Cooperative, at 94. Furthermore, of the total of 11 coffees that rose to top scores of 92 and higher, nine were from Burundi. Even more remarkably, an additional 25 Burundis scored ratings of 90 or 91—too many to review individually for this report, though all were deserving. 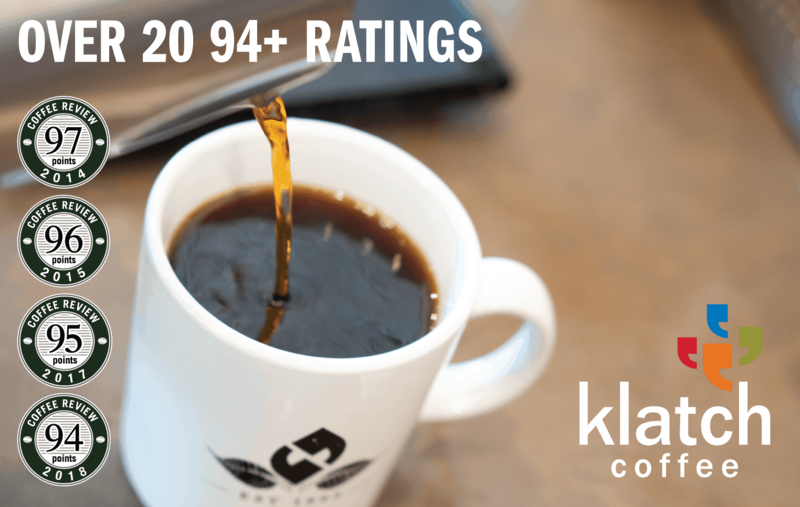 We added reviews of the two highest-rated Rwandas (Willoughby’s Hingakawa Fair Trade Women’s Co-op and Big Creek’s Rwanda Cyato, both rated 90) and the highest rated Uganda (Oceana Coffee’s Uganda Kapchorwa, also rated 90). As always, we cupped these coffees blind, on a rolling basis as they arrived, over the course of several weeks, and without regard to origin. On every table, we could pick out “classic” cup profiles from these regions: bright and balanced, with a smooth, full mouthfeel and crisp, often juicy, acidity. Although only 14 coffees emerged with scores of 92 or higher, the majority of coffees we tested were solid, pleasing coffees. Most Africa Great Lakes coffees are wet-processed using traditional methods, meaning the fruit skin and pulp are removed from the beans immediately after harvesting and before drying. The “classic” profile characterized above applies to the best of such coffees. But approximately 20 percent of the coffees we received were natural-, or dry-processed, which means the beans or seeds were dried encased in the entire fruit. Some submissions were full naturals, while a handful of others were honey-processed, a method that removes the outer skin of the coffee cherry as in the washed method, but leaves some fruit residue on the seed during the drying process. Natural-processed coffees drying in the sun in Burundi. Courtesy of Oliver Stormshak. Five of the 14 top-rated coffees reviewed here were processed by one of these alternative methods. These natural- and honey-processed coffees perhaps predictably displayed more prominent fruit notes, both in aroma and cup, as compared to their fully washed counterparts. But it is also interesting to note how many additional natural- and honey-processed coffees attracted scores of 90 or higher, a greater percentage than one might expect, given that these alternative processing methods are still rarely applied to top coffee lots in the Africa Great Lakes region. This trend could bode well for coffee production across the region as climate change continues to make farmers’ work more challenging, since sun-dried (natural-processed) coffees require much less water in their preparation than do washed. Why Did Burundi Emerge As a Success Story This Year? When we noticed how many coffees from Burundi were testing well, we looked back at our one-off reviews from earlier in the year, and noted that both the Kiniyota Burundi and Kiniyota Espresso from JBC Coffee Roasters had scored 95; a Buhorwa from Big Shoulders Coffee earned 94; and a Nemba from Amavida both rated 93. Why are we seeing such consistent distinction from this origin, particularly this year? Dan Shafer, director of operations at importer Crop to Cup, based in New York, shared his thoughts. 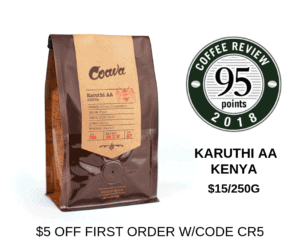 He attributes recent success in Burundi, first and foremost, to the return of the Cup of Excellence (COE) program, an internationally juried green coffee competition, in 2017. There was no COE competition and auction in Burundi in 2016, and its return, according to Shafer, raised awareness at the farm level and encouraged growers to compete for higher prices at auction. Farmers bringing coffee cherries to the weighing station in Kayanza Province, Burundi. Courtesy of Oliver Stormshak. Shafer also notes that a low crop yield, as he says Burundi experienced this year, often correlates with higher quality in the smaller volume of coffee produced, especially if that quality is reinforced by the rigorous sorting that leading exporters are now applying to their high-value microlot programs. He also says that such meticulous sorting, supported by farm-based practices aimed at improving quality, has reduced the occurrence of the potato defect, further strengthening buyer confidence. Sorting coffee cherries in Kayanza Province, Burundi. Courtesy of Oliver Stormshak. Max Acien, managing director of Greenco, a company established in Ngozi, Burundi in 2015 to help smallholding farmers improve coffee quality, weighed in from the producer perspective: “Burundi is evolving from a volume-based strategy to a quality-oriented strategy,” he says. He points out that each producing country in East and Central Africa is growing and changing at its own pace, and that Greenco’s investments in trainings and resources that encourage farmers to produce better coffee have yielded success and higher prices almost immediately, with the potential for further improvement still enormous. For further exploration of the countries in the Africa Great Lakes region, see editor-in-chief Kenneth Davids’ origin overview.